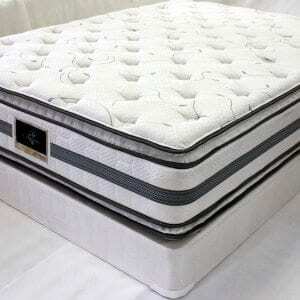 The very finest double sided pillowtop mattress you can buy. Very comfortable and supportive. Will last most people over 10 years. Steel Reinforced sides with 13.5 gauge steel coil. 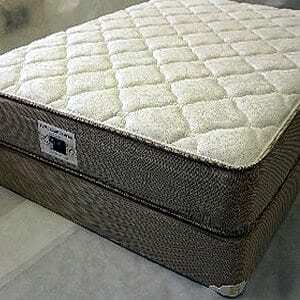 This is a heavy duty, built to last….. Orthopedic Design Pillow Top Mid. Firm Double Sided, Full Edge Support, Firm Contructed for Spinal Care. 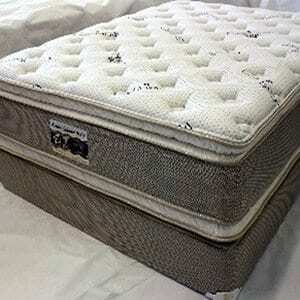 The #1 in our Double Pillow Products With Old Fashion Build. 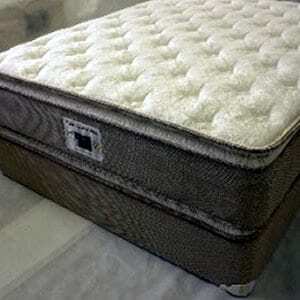 416-13 Gauge, High Profile, Heavy Duty Tempered Steel Bonnel Innerspring Unit, Fiber Pads, Multi Layered High Density Foam and Convoluted Foam, 10 Double Cup Edge Supports, 2″ Thick Tack and BAMBOO COVER! Construction features of this two-sided series are:*416-13 ga. high profile heavy duty bonnell spring unit. *14 heavy duty double cup edge supports. *Insulator pads both sides. *Layers of highly resilient 2 lb. foams. 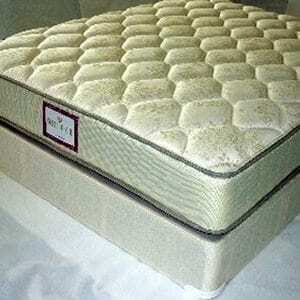 *2″ luxuriously quilted to Aloe Vera cover. *High Density Biodegradable plant based foams are Earth friendly and help us support American farmers. They also lessen America’s dependency on foreign crude oil while helping us make responsible “Green” choices for our planet. Having confidence in the products you buy means everything. Our Ortho Support 3000 Series is a continuation of the same high quality two sided bedding as our 5000 and 7000 Series, but at more affordable price points. The 3000 Series was orthopedically designed as a stronger more supportive two sided bed with heavy gauge steel and highly resilient 2 lb. 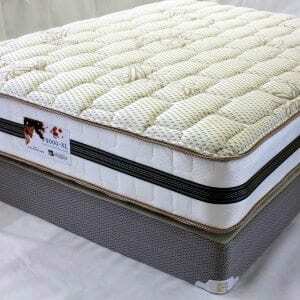 foams to give you the extra support and comfort you need to get a good night’s rest. The Aloe Vera cover provides you with the ultimate in luxury in feel and durability. Construction features of this two-sided series are:*416-13 ga. high profile heavy duty bonnell spring unit. *14 heavy duty double cup edge supports. *Insulator pads both sides. *Layers of highly resilient 2 lb. foams. *2″ luxuriousl Aloe Vera cover. *Biodegradable High Density Soy plant based foams are Earth friendly and help us support American farmers. They also lessen America’s dependency on foreign crude oil while helping us make responsible “Green” choices for our planet.